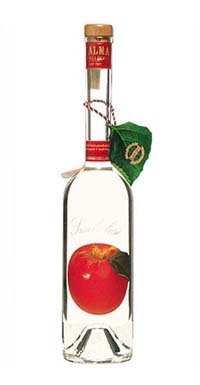 Palinka is one of Hungary's finest alcoholic beverages. Palinka is a highly renowned specialty of Hungary gastronomy - to such an extent that its name and preparation have been protected as a Hungarian brand since 2004. The names of famous Hungarian Palinka brands describe their main ingredient and region of origin. The Plum Palinka of Szatmar is made from fruit harvested between the rivers Tisza and Szamos, mainly of Penyige and Beszterce varieties. 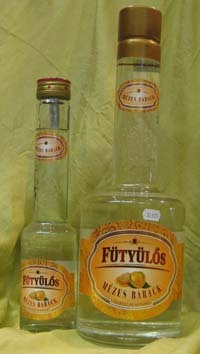 The base ingredients for the 'Futyulos' ('whistting') apricot Palinka of Kecskemet are grown in the orchards surrounding the city in the Alfold (the Great Plain). 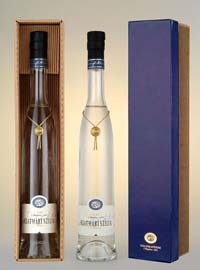 The pear Palinka of Gocsej is made from the harvest of the Transdanubian region. The production of palinka is regulated by strict specifications: only beverages made purely from Hungarian base-ingredients and fruit mashed, distilled and bottled in Hungary, prepared without any sugar or additives can be called palinka. Any distillate which deviates in the slightest degree from this exceedingly high level of quality cannot be labeled with this protected name. Palinka is not mass-produced in huge factories. The selection of the fruit, the lengthy preparation and the careful distillation and treatment can only be carried out in small quantities, and in easily inspected, family-based manufactories. what makes the Hungarian palinka so special and sets it apart from other, similar European brands of alcoholic drinks? The answer mainly lies in the quality of the base-ingredients. Hungarian fruit has a higher sugar content and an unmistakable aroma - due to the unique, mosaic-like microclimates of the Carpathian Basin. There is a wide range of wild crops and fruits with an unparalleled taste, suitable for fermentation. These are coupled with centuries of skilled knowledge, passed on for generations, which is now practically an art form. 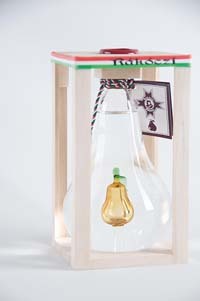 Palinka is a refined, gastronomical delight: a magnificent harmony of tastes, colors and fragrances.